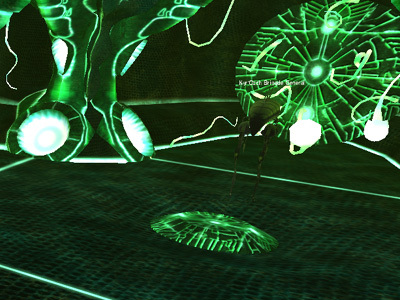 Alien Experience Daily Missions are acquired from the Alien Agency Handler in the Clan/Omni mission agency HQs. See here for more general information on these alien daily missions. The Alien Agency Handler commissions you to board an alien scout ship and blow it up. The handler will give you a bomb kit. 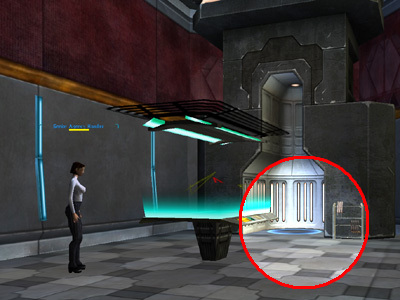 Once you have accepted the mission, you will be able to use the portal in the southern room in the Agency building. Doing so will take you directly to the Unicorn Outpost. Portal from the Agency to the Unicorn Outpost. 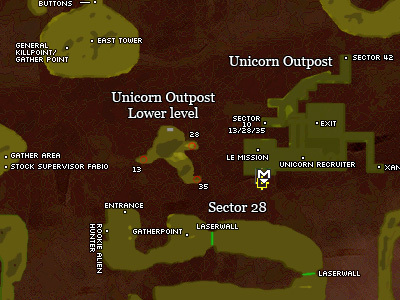 Once you are at the Unicorn Outpost, your mission marker should show you where to head to. At the mission marker, you should find another portal. The Unicorn Outpost offers a free of charge shuttle transport that will take you to the derelict ship. When you are on the ship, you need to find the flight deck. 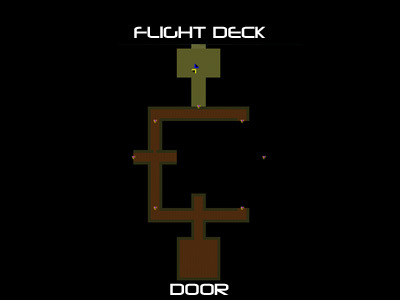 In our experience, we have always found the flight deck at the location shown below on the map. It is not required to kill all the aliens on the ship to plant the bomb, but you must not have agro in order to activate it. However, in the flight deck you will find Kyr'Ozch Brigadier General as well as an add. 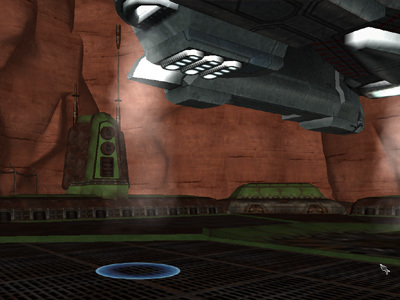 He is stood in the general location where you need to plant the bomb, so it might be adviseable to take him out first. When you are stood in the right location on the flight deck, you will receive a message stating that you are in a good location. Right click the bomb kit in your inventory. Once the bomb has been set up, you will get a 1 minute countdown timer running in your NCU. You must evacuate the ship within this one minute timer. As soon as you have exited the ship, the timer will cancel and your mission will update. It should now state you need to visit the agency to claim your reward. Researched and written by Ukblizzard.